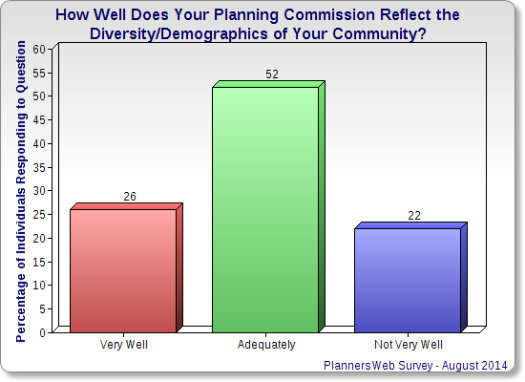 We asked respondents to indicate how well their planning commission reflects their community's diversity/demographics. 1 We provided three choices: 1. Very Well; 2. Adequately; or 3. Not Very Well. Here's what we heard back. We also asked our respondents who said either "Not Very Well" or "Adequately" to briefly explain why they thought that was the case. 28 added a comment noting a lack of racial/ethnic diversity on their commission. 15 mentioned a lack of gender diversity. 5 made note of a lack of younger members. 29 added a comment noting a lack of ethnic or racial diversity on their community's planning board. 14 mentioned a lack of gender diversity. 13 noted a lack of younger members. Then we asked those who said "Very Well" what they've done to accomplish that. You can see some of the responses in the next section of the post. We want to provide you with a sampling of what we heard back from those who indicated their commission represented their community's diversity either "Adequately" or "Not Very Well." "All our members are Caucasian and college educated and our community is 45% African American. We have only ever had one African American even apply during my 7 year tenure on the Commission." -- from a planning commissioner in small community in Maryland. "We have a growing number of Asian, Latino and African American populace that are insufficiently represented. Neither do they participate in local planning events. There is a need for alternative means of reaching these underserved populations." -- Community member from mid-size city in Washington. "100% white [commission] in a County with 40% black, Hispanic and Asian population." "While our planning commission is diverse in age, there is only one female on the commission, and all commissioners are Caucasian." Several of those commenting provided some explanation of why they did not have greater diversity on their commission. 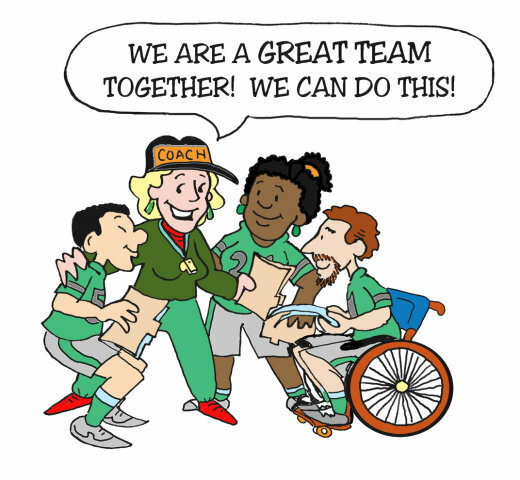 The commitment requires night meetings, which can be lengthy. Most P&Z members are male retirees ... We need more women, more minorities, and some younger members. "The commitment requires night meetings, which can be lengthy. 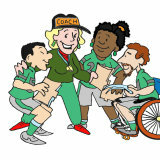 Most P&Z members are male retirees whose interests lie in community involvement and volunteerism. We need more women, more minorities, and some younger members." "Community is largely upper income and relatively homogeneous. Commission make-up is same. Racial, income, home tenure diversity would be welcomed on commission (by staff certainly). But populations from which to draw are relatively small." "Commissioners tend to be older than the population. It is difficult to find minorities willing and able to serve." "Not enough qualified volunteers to have a choice." Perhaps a better outreach effort into the minority communities, specifically black and Hispanic, would help. "While the town has gotten better in terms of gender balance, there has never been a minority member of the planning commission, despite having a significant black community. The onus however for creating diversity on town boards does not fall solely on the town council. Planning commissioners are chosen from a pool of applicants and that pool is typically white and male. Perhaps a better outreach effort into the minority communities, specifically black and Hispanic, would help, but if no individuals step forward, it is hard to diversify the commission or any other board." -- Planner in small town in Virginia. "The Governing Body that appoints the Planning Board take diversity into consideration when appointing new members." 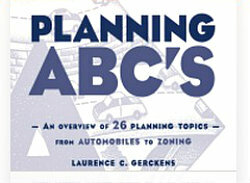 -- Planner from a small Massachusetts town. County has made a concerted effort to make all of their voluntary boards and commissions gender balanced. In fact, Iowa just passed a law to that effect. "County has made a concerted effort to make all of their voluntary boards and commissions gender balanced. In fact, Iowa just passed a law to that effect in the last couple of years." [Editor's note. See this footnote 2 for some of the provisions of this law]. -- Planning commissioner in mid-size city in Iowa. "Mayor looks at neighborhoods within the city and selects from as many areas and socio-economic representations as possible while still selecting educated, ethical, wise people." -- Planning commissioner from a big city in Utah. "We use the committee structure of our comp plan to interest folks into volunteering for Planning commission seats when they become available." -- Planning commissioner from a small city in Pennsylvania. One common thread in the responses is that it often takes awareness and leadership to promote diversity -- and that also often means, as a Kentucky planner noted: "active outreach." Over the years, we've run several articles in the Planning Commissioners Journal on ways of fostering greater diversity. Elaine Cogan has focused on the importance of active outreach to minority communities, and provides a number of suggestions on things to try. See her articles, "Well Rounded Membership First Step in Well Functioning Board" and "Variety on the Planning Commission is a Virtue." Recently, Casey Green and Dan Rosenblum in "Can 'Citizen Planning Academies' Work in Your Community?" discussed the role these organizations can play. One thing they can do is enable a diverse cross-section of the population to become more familiar with local planning, while creating a pool of future planning board members. That's similar in ways to the comment about using a committee working on the comprehensive plan to get more people involved with planning. We've also focused on efforts to increase the involvement of younger people in planning. Take a look at Dan Rosenblum's article "Why Have Students Serve on Planning Boards?," as well as a short article by Kit Hodge, "The Next Generation of Your Planning Commission." It also almost goes without saying that creating an atmosphere of respect and collegiality will also help in making everyone more comfortable with serving on a planning commission. Iowa Statutes 69.16A GENDER BALANCE. Subsection 2 added, effective Jan. 1, 2012. 2. All appointive boards, commissions, committees, and councils of a political subdivision of the state … shall be gender balanced as provided by subsection 1 unless the political subdivision has made a good faith effort to appoint a qualified person to fill a vacancy on a board, commission, committee, or council in compliance with subsection 1 for a period of three months but has been unable to make a compliant appointment. In complying with the requirements of this subsection, political subdivisions shall utilize a fair and unbiased method of selecting the best qualified applicants. Editor's note: As of 2013, eight states had gender balance laws that applied to state level boards and commissions. Iowa is the only state to extend this law to local boards and commissions.